This entry was posted in 技術情報 and tagged curl, openssl, Webサーバー, wget on 9月 21, 2016 by koreadays. This entry was posted in 技術情報 and tagged SEO on 3月 10, 2016 by koreadays. 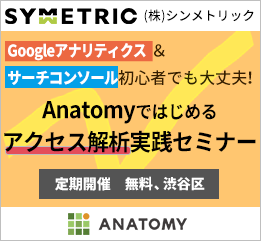 This entry was posted in モバイルサイト開発 on 11月 27, 2015 by koreadays. This entry was posted in モバイルサイト開発 and tagged TLS, スマートフォン on 9月 14, 2015 by koreadays. This entry was posted in 技術情報 and tagged Hyper-V, Windows 10, 開発環境・ツール on 9月 7, 2015 by koreadays. This entry was posted in モバイルサイト開発 and tagged Apache, mod_rewrite, スマートフォン on 9月 1, 2015 by koreadays. This entry was posted in 技術情報 and tagged Apache, プロキシ on 8月 20, 2015 by koreadays. This entry was posted in モバイルサイト開発 and tagged Apache, iPhone, Safari on 8月 3, 2015 by koreadays. This entry was posted in モバイルサイト開発 and tagged au on 12月 13, 2011 by koreadays.